The Ringer’s Ben Detrick released a bombshell story May 29, linking current Philadelphia 76ers’ president of basketball operations Bryan Colangelo to five separate burner Twitter accounts that were used to criticize current and former Sixers players, including Joel Embiid and Markelle Fultz. The alleged Colangelo accounts also tweeted disparaging things about Masai Ujiri, who replaced Colangelo as general manager in Toronto. While criticizing players is already grounds for dismissal, these burner accounts have also dipped into more controversial territory. Specifically, one account under the name of “Eric Jr” tweeted alleged private medical information about former 76ers center Jahlil Okafor. “Ask Jah if he passed other team physical? He will not say not to lose other chance. But I bet the farm it’s what happened,” the tweet, dated Feb. 15, 2017, said. The fact that Colangelo is releasing private medical information, if this is indeed him, is enough for him to be fired. 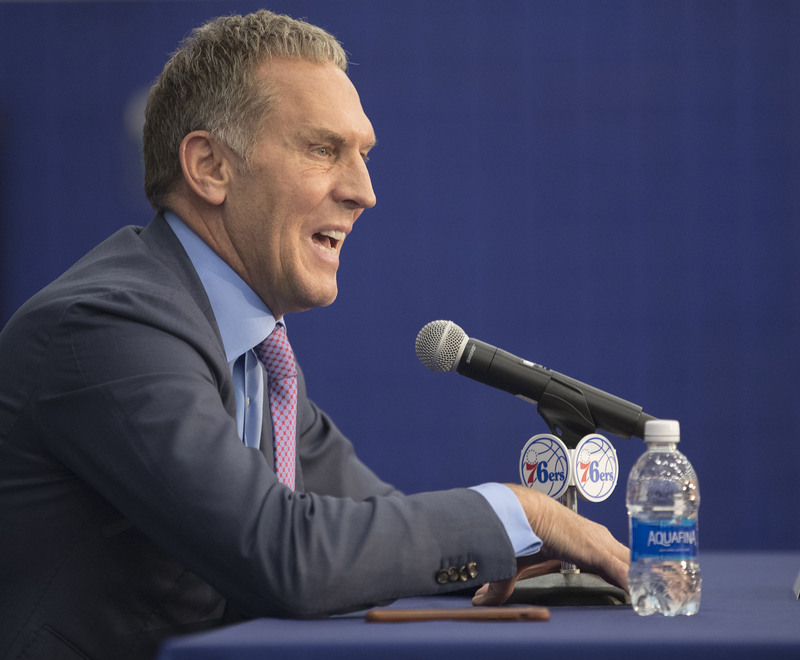 While Colangelo might not be directly linked to the accounts, internet detectives matched several accounts to his wife’s phone number, according to a report from USA Today. Even if it indeed was his wife, the blame for this controversy will likely fall on Colangelo, as it is unlikely he was not aware that it was going on given the tweets about private medical information. If there is any shred of truth to these reports, the Sixers likely will move to fire Colangelo and pursue former Cavs General Manager David Griffin to be his replacement. Griffin would be the most logical choice to replace Colangelo for multiple reasons. The most obvious reason is LeBron James. Griffin knows James well from their time in Cleveland together and LeBron was not happy that the Cavaliers didn’t resign him this past summer. The Sixers have been public about their interest in James during his looming free agency this summer.